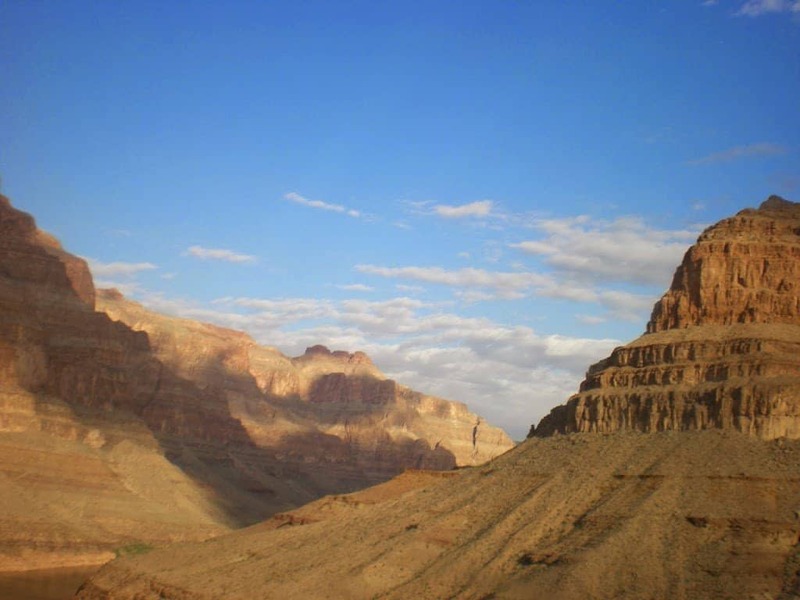 We booked our Grand Canyon trip from a ticket shop on the Las Vegas strip; to be honest it was so overwhelming. There are so many options available; trips to the Canyon by coach, trips by plane and several different trips by helicopter, with varying types of helicopter, wow so many choices we did not know what to do. ?We went to several outlets selling tours and decided on the one next to the M&M store. We chose Maverick Tours as the helicopter had panoramic views, comfy leather seats, and interactive headsets. The only downfall was we had to be up a 5 am for our 5.30 pick-up aghhh. ?Pick up and boarding our helicopter was very organised, we had 3 fellow passengers all lovely people, we set off into the sunset to the theme tune of the magnificent seven. If you had told me this would have happened before I would have said how corny, but it was breathtaking, setting off into the sunrise. We were told by our pilot that we would not be able to communicate through our headsets, until we were in the air and had airport clearance. One we had clearance and was able to speak, Joe said loud and clear, “Jack’s a lady” that broke the ice a tad. Jack Did not seem to find it that funny! ?It took about an hour to get to the Grand Canyon what I didn’t realise is that we would fly over an existing Indian reserve and the Hoover Dam. 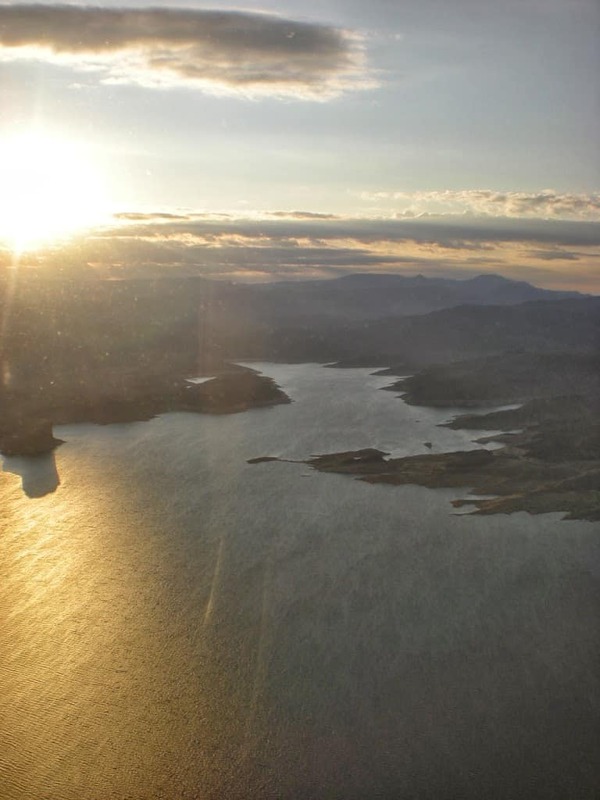 The sight of the Hoover Dam from the air is truly astounding if we had turned round here I would have been happy. 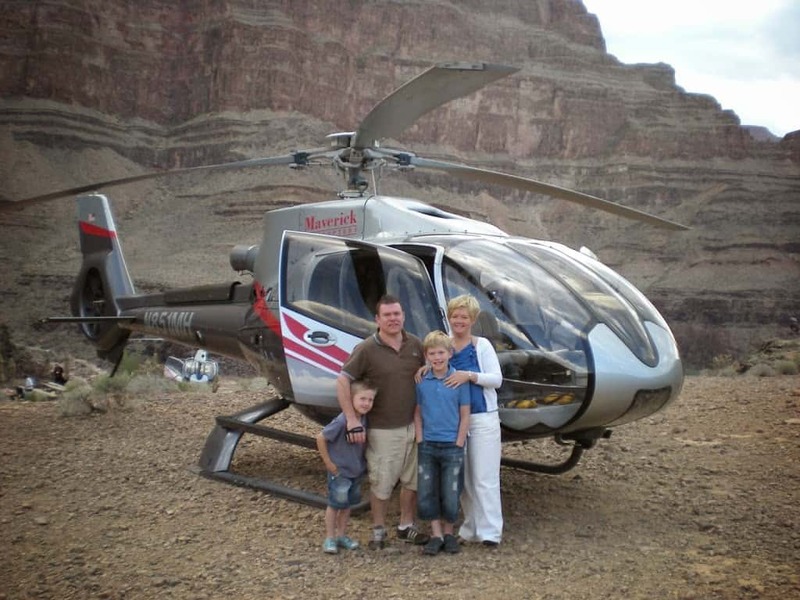 ?As soon as you start to approach the grand canyon the scale of it is incredible, the beauty takes your breath away, the benefit of a helicopter tour is you get to land inside the Canyon, and have a glass of champagne. We had used some of the money that Chris’s beloved Grandma had left us to pay for this trip; Grandma was a live for the moment person who loved life. She would have wanted us to create a memory. ?The plan was to have a glass of champagne and a toast to Grandma, but do you know what? She was in my heart but I just could not say the words it was too emotional. I know she would have been with us though. When we landed the sun had risen but it was freezing out there in the Canyon. We had a glass of champagne and spent some time looking around and taking photo’s, then it was time to return. ?All that money spent on the trip and Joe slept all the way back! All that beautiful scenery and he snored all the way back. They finished the experience with a flight down the Las Vegas Strip. A totally amazing day, a once in a lifetime experience, that I feel so blessed and honoured to have experienced. And yes worth every penny, before the trip I thought the price was a bit extreme, in hindsight how can you put a price on an experience such as the grand canyon. A memory our family will never forget, just what Grandma would have wanted. What an amazing experience. Loling at your son asleep!